What you see on the right side is Mahabali - the noble king who used to rule my little state Kerala, India - eons ago! Its Onam round the corner. We Keralites all over the world celebrate Onam & Onam greetings to you too. During the reign of Mahabali, All the men were equal. No lies and No cheating. According to mythology, there was neither corruption nor injustice during his reign; all his subjects enjoyed equal rights and led a happy life. But the higher gods feared his popularity and power. They feared, one day, Mahabali will take over their own throne! They got together, conspired and swiftly send Mahabali to the world that exists underground - the netherworld. Since he was attached to his kingdom and his people, he was allowed to return once a year from exile. Onam is the celebration that marks the homecoming of King Mahabali. It is the day when a grateful Kerala pays a glorious tribute to the memory of this benign king who gave his all for his subjects. So the story goes. And we Keralites rejoice and celebrate his home coming by feasting, wearing new clothes and giving gifts. Important: In Seconds, Your Keyword Search Turns Into A Treasure-Trove Of Websites, Ebooks, Tutorials, Resources, Checklists, Guides, Tips, Tricks, Articles, MP3s, Videos, Images, And More!" 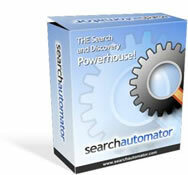 Let me share with you a new and very effective tool -Search Automator- that I began using today. It's brand new and just released! "If you're in the information business, Search Automator will quickly become one of your most valuable business assets. period! Derek Franklin has created the Search Automator, the hottest software! The power this tool holds is truly amazing and will keep me busy for months. In this information-crazy society, there are a number of people and businesses whose success largely depends on information - finding it, consuming it, packaging it and/or selling it. And you , can certainly capitalize from this craze the easy way! And Search Automator will take you miles ahead instantly!. Make No mistakes in understanding this basic concept. P.S: Make it a point to watch the free video from the above link. You will be glad , you watched it. If you don't possess the time, money or inclination to create your own hot selling product there is plenty of scope for profit by using other people's. In this quick article I'll detail the best ways to take a third-party product and use it to fill your own bank account. 1. Resell Rights: Resell Rights let you sell a product and keep all of the money. It's an ideal way to start. Usually you'll need your own payment system to accept the money and your own webspace to sell it - but that's very cheap to do these days. Resell Rights can be free, or cost anywhere up to $1000 and beyond. The free Resell Rights are usually not worth bothering with. You want to sell items that have LIMITED distribution - quite simply because you'll have less competition! 2. Master Resell Rights: Unfortunately these are bad news. With the Master Rights you can pass on Resell Rights yourself. This means one thing - thousands of competitors in a very short time. 3. Reprint Rights: These are sometimes confused with Resell Rights but they are usually used to describe hard-copy material. For example, printed books, tape sets, CD's or Videos. You usually have to handle the duplication yourself but sometimes the company will provide copies, and even ship them for you, for a small fee. These products usually cost more to acquire the rights but can be very profitable. As the old saying goes, it's easier to sell 10 copies at $1000 each than it is to sell 1000 at $10. 4. Affiliate Programs: When you enter into an affiliate agreement you are sharing the cost and effort of promoting a product. You will take a percentage of the sales in exchange, so you want at least 50% for it to be worth your while. With an affiliate program you can usually join at no cost, but will make less money - and have more competitors! One other advantage, the company provides the site and the collection of payments. All you do is promote and cash your check. 5. Drop Shipping: This makes the traditional form of selling easier for the information age. Profit = Cost - Selling Price , and with a Drop Shipper you merely take the money from your customer and tell the shipper to send them the product. You then pay the shipper their price. For example, you can buy a Widescreen TV for $1299 but you are selling it for $1499. You make $200 per sale but never get involved in the distribution at all. This method is used extensively on eBay and in online shopping malls. 6. Joint Ventures: These blur the line between the other processors. Basically, you connect those who make products with those who sell and promote them. You can acquire resell rights, or create your own product, or be part of an affiliate network. You then contact possible sellers, for example Ezine Owners, who may be interested in selling the product for a cut of the profit. This way you can connect BIG sellers with BIG products and slice of some of the profit for yourself! 7. Branding Rights: These can be combined with Resell Rights but sometimes are offered as an extra. With Branding Rights you can make some or all of the links within a product possible money-spinners for yourself. For example, you can take a book on copywriting and give it away, or sell it. But within this book are other links to further services, all that could make extra back-end sales for you. As you can see there are plenty of ways to make money WITHOUT the expense of time of building your own product! Stuart Reid is an ezine publisher and webmaster. 1. Smart Editor Professional: Come out with professional web pages easily. This is a full featured FREEWARE Text, Hex, Programmers, HTML Editor. Features include support for most programming languages, WYSIWYG HTML designer, Template Projects, Project Manager, FTP support, Code Library, Programming Assistants, Tasks & Notes, Plugins etc. The intelligent scripting features and tons of user friendly helpers and tools can really simplify the way you write code. 2. RSS Library: RSSlib lets you add syndicated fresh content to your site very easiliy, for free. Your site will looks more professional with fresh content updated daily. You can control many parameters. Resulting HTML content is fully customizable using CSS. You can change font, colors and many more. Also, you can choose to use cached RSS feeds or every call will request a fresh RSS content. You can set maximum items and maximum length for descriptions (longer descriptions could be truncated). Finally, you can set-up target for displaying documents (current or new browser window, a frame or anything else). I know of similar software's being sold for $99. But you can have this for free! Well. That sums up the last first fortnight of August-2004. Do not Forget To Rate 'HomeBiz-Tips'. Your valuable vote helps us to improve this E-Mag as well as allow us to keep it Ad-Free.